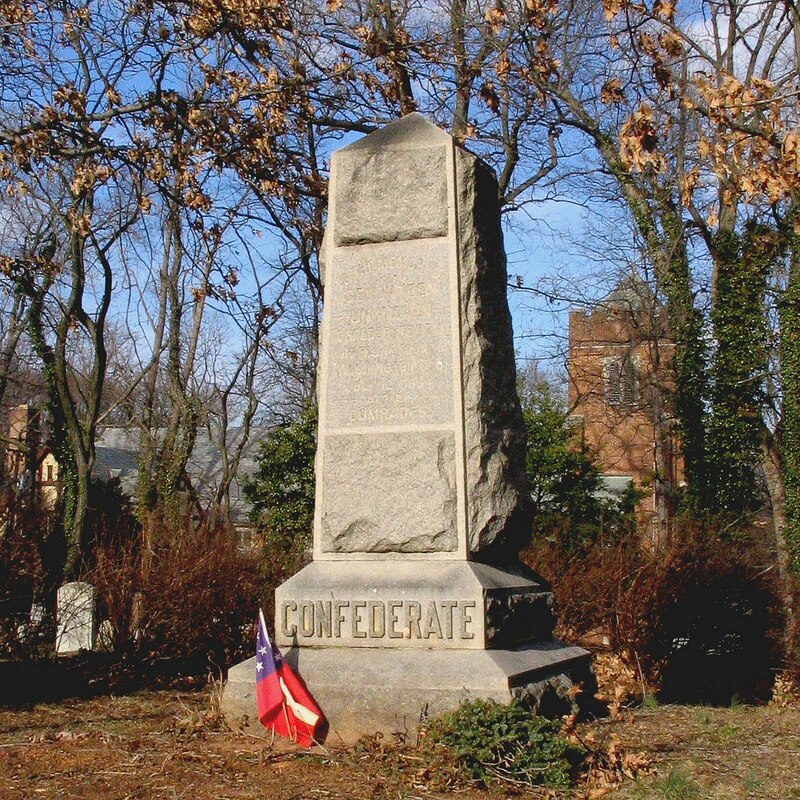 This monument marks the grave of 17 Confederate soldiers who died in the battle of Fort Stevens in July of 1864. 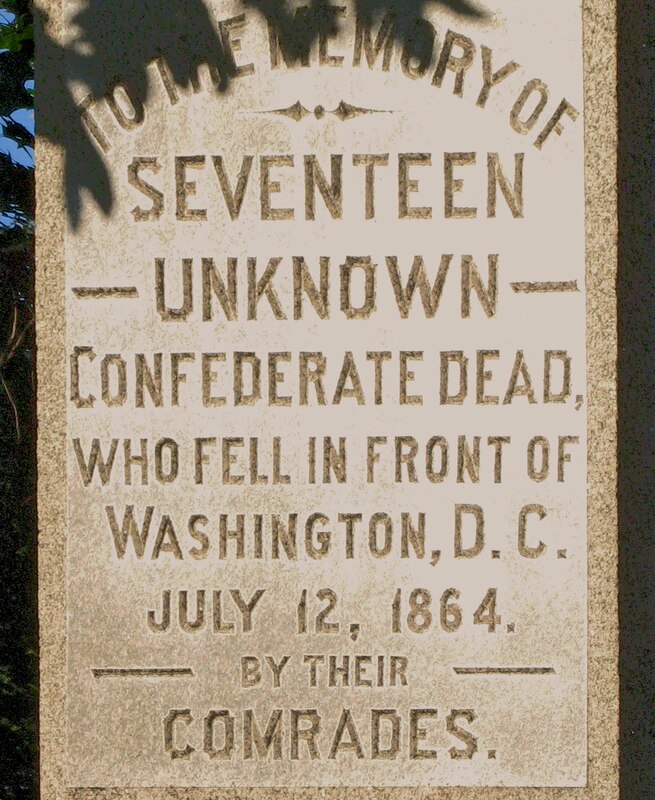 After the battle, the Union dead were interred formally at the Battleground National Cemetery. 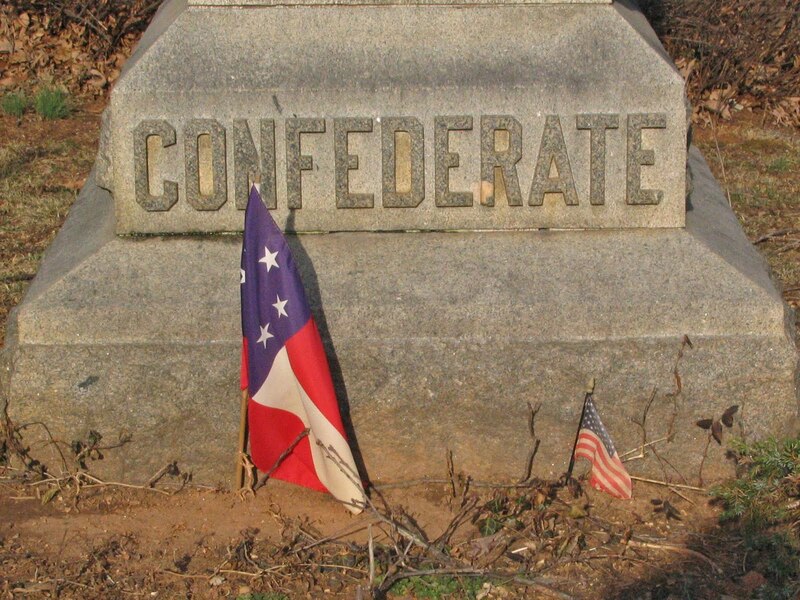 The Confederate dead were buried in shallow graves on several Silver Spring farms. 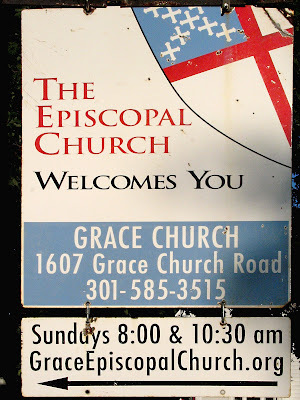 In 1874, the pastor of Grace Episcopal Church, himself a Confederate veteran, was able to locate 17 bodies and had them moved to the church cemetery. The only body that could be identified was Pvt. James Bland of Highland County, Virginia. 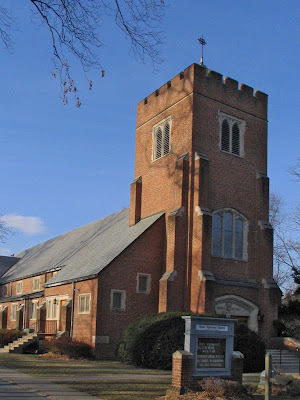 The graves were lined up in front of the church in a lot donated by Montgomery Blair, a parishioner who had been Lincoln's postmaster and Dread Scott's Attorney. The religious ceremony performed over the new graves displayed explicit Confederate partisanship. Susan Soderberg quotes the Evening Star's description of Dr. A.Y.P. Garnett's oration to show the flavor of the commemoration. He congratulated those present that the time had come when they could do justice to the memories of their friends, and perform such services unmolested. He alluded to the causes of the war, and justified the south for their actions. He once alluded to the willingness of the south to take up arms to defend their homes from invasion, when a voice in the crowd said, "And we're still willing to do it Doctor." He alluded to the south as "our people" and Jeff Davis as "our president." The Church granted the Street Railway trolley company a right of way along Georgia Avenue in 1898 and, in preparation, moved the bodies in 1897 to a mass grave at the southwest corner of the cemetery. Georgia Avenue was later widened to cover the trolley right of way, so the original location of the graves is now the righthand northbound lane of Georgia Avenue (MD 97). The current monument was dedicated in a ceremony that Soderberg notes was much more conciliatory. The orator of the day was Judge Samuel Blackwell of Alabama, who spoke of "the almost total obliteration of sectional lines" and the unity of North and South in "stand­ing for the perpetuation of the nation and the flag." 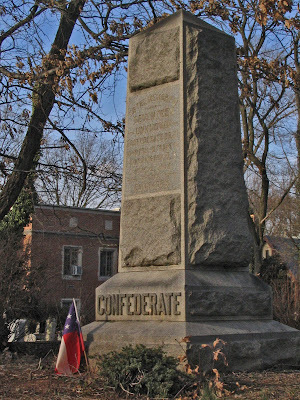 According to the Sentinel (November 20, 1896) newspaper, a well-known Washington citizen, Paul Jones, son of a man who had died fighting for the Union, then rose and "claimed the privilege of recognizing the valor of the Confederate soldiers" by laying a bunch of white chrysanthemums at the foot of the monument. 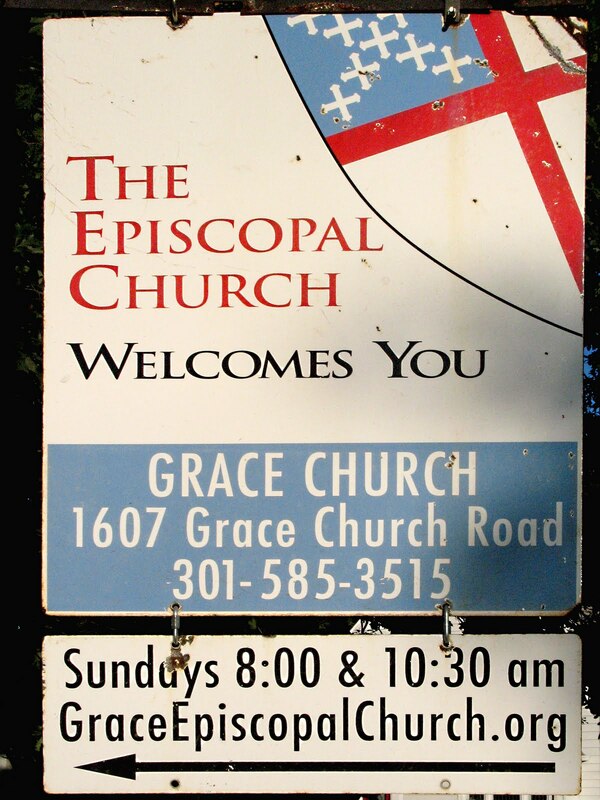 The current Grace Episcopal Church building is the third church building on this site. There's a legend that Early contributed $100 to have the roof built. This church building burned down in 1896. 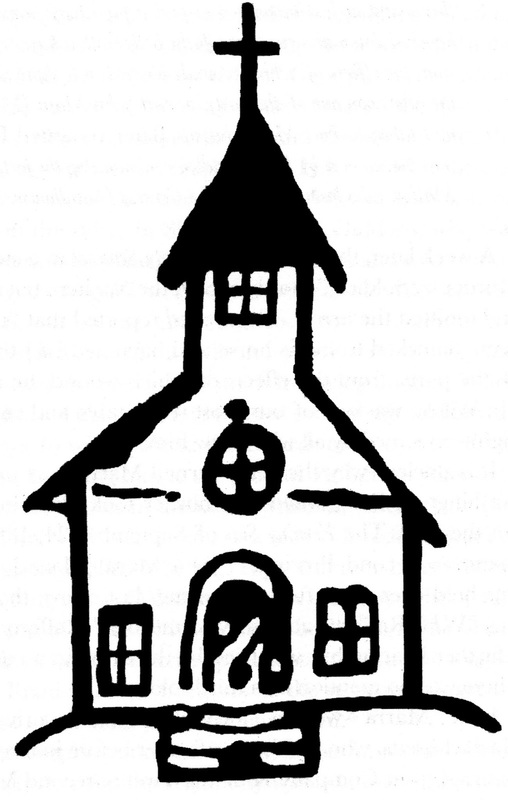 On June 6, 1896, the original church building was destroyed during choir practice when a member of the choir slapped at a moth and accidentally knocked over a kerosene light. Despite the efforts of a bucket brigade bringing water from a well at the rectory across Brookeville Pike, the church burned to the ground within an hour. 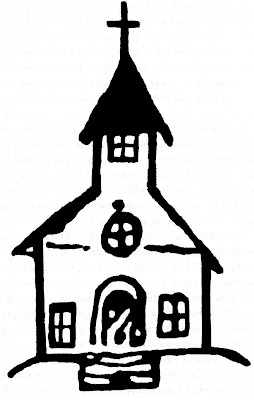 Construction of a new church building was promptly begun. 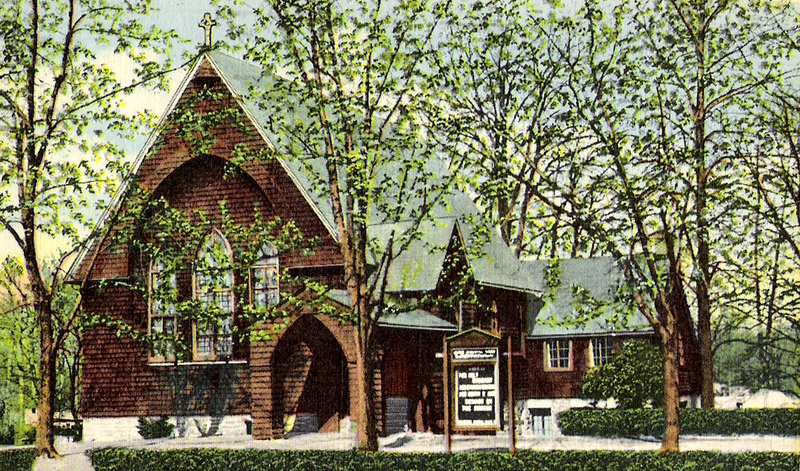 A brown shingled structure was completed in 1897. -- the Woodside Park website. 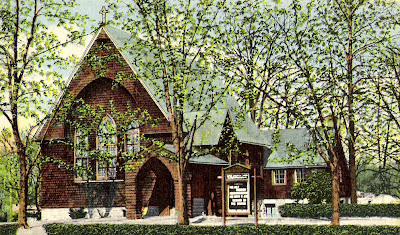 So in 1897, when the ceremony took place dedicating the Confederate Monument, Grace Church was the shingled building shown in this old postcard. The current red brick building replaced the shingled building in 1956. It was built behind, to the east of, the original church site. Although the current congregation are fairly liberal Episcopalians -- when I last visited here some years ago the pastor was an African American woman -- a person or persons unknown places flowers and sometimes flags on this grave quite regularly; a reminder, I hope, that even men who found themselves on the wrong side of history deserve some remembrance in death. Awesome! I had driven by this every day for years. Today I finally had the opportunity to take a look around. Fascinating place. 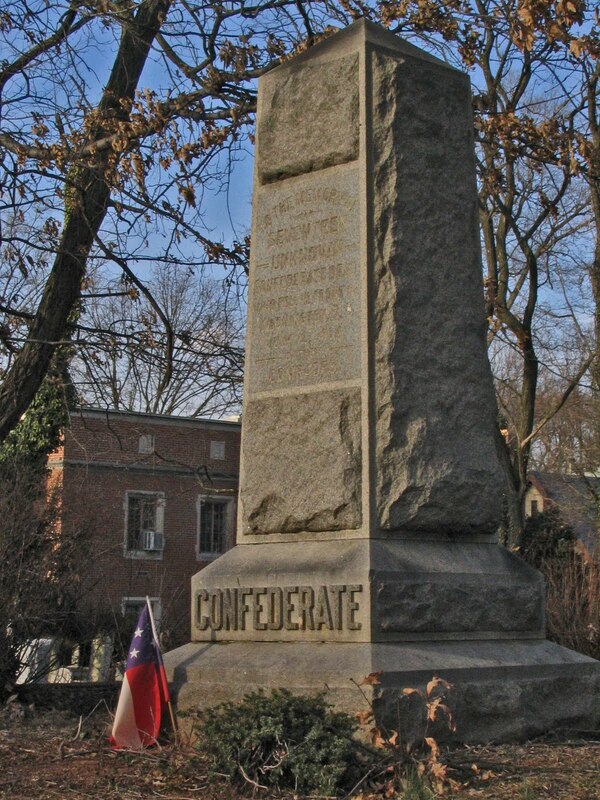 Looking at your comments and the photo of the monument with the flag... made me wonder if it would be out of line to place a confederate flag there... seems a shame that it would probably be taken wrong. :( There were other issues to the Civil War besides slavery - who knows what the individual beliefs of those soldiers were, but the died for something they believed in. Rest in peace. That is a Confederate flag. It is The First National known as The Stars and Bars. Are these in danger ? "Although Francis Preston Blair's Iosses were slight in comparison to his son's, one loss was a statue that was near a pool beside the spring. A Union artillery shell had broken a foot off the statue and reportedly killed a Confederate soldier who happened to be drinking from the pool when the shell hit. He had been buried near the pool. 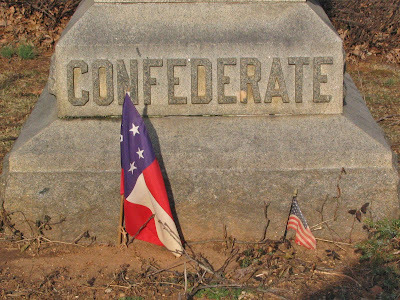 In the late 1890s, while installing a hydraulic ram water system, Blair Lee came upon those remains or perhaps the remains of another dead Confederate. He had the body reburied and erected a monument bearing a plaque with the words: "Unknown Confederate Soldier Killed at the Spring by Shell from Fort Stevens July 12. 1864. The monument also included a niche containing a shell from a Parrott gun." Robert Oshel, Silver Spring in the Civil War, 2014, p. 124-125. George Washington Slept Here, Twice.